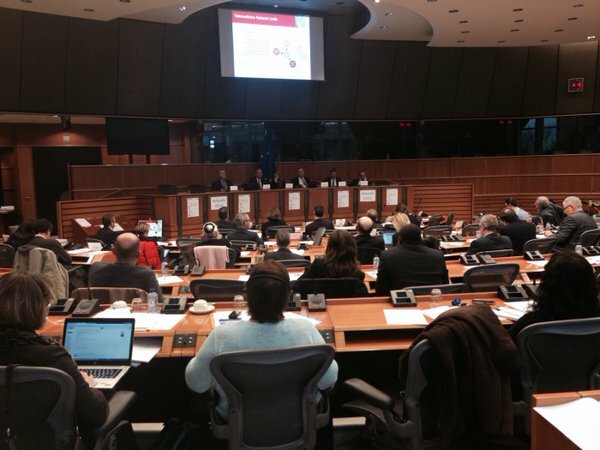 On 1st December 2015, United4Health and the European Health Telematics Association (EHTEL) organized a workshop on “eHealth in Europe: Reality and challenges ahead” at the European Parliament in Brussels. The workshop was chaired by MEP Eva Kaili, Vice-Chair of the EP scientific foresight unit (STOA), and brought together European, National and Regional eHealth Stakeholders and Policy Makers to discuss what it really means to use eHealth and mHealth at a scale that will transform healthcare delivery. European Healthcare systems are at a crossroad. Balancing cost, accessibility and quality of healthcare seems to be an impossible equation and EU Member States and Regions are facing the challenge to address these issues. Health care solutions provided by information and communication technologies (ICTs) also known as e-health, are seen to provide an effective support to these problems. In order to adequately respond to the growing demand for healthcare, the European health policy must ensure that full use is made of all resource-saving approaches, including ehealth. This implies not only adopting ICT-based tools and solutions, but also – and more importantly – innovative health and care service models. This entails an increased involvement of patients in healthcare, delivering services in a cost-efficient and care effective manner. See the booklet of the workshop. See the recorded webstream from the event.